10+ Fire-Resistant Building Materials to Use during Construction of Home! There is now a fast-growing awareness amongst the architects and engineers to plan, design and construct the buildings / house keeping the safety of the occupants as a focal in the event of outbreak of fire. Once the fire starts, it has tendency to ignite all the combustible materials of the surrounding areas and if in case it is not checked it may spread to other parts of the buildings. If the fire is not controlled within the reasonable period, it may lead to the collapse of building. In case of fire, it is always the fuel that causes fire and also aggravates it. Temperature of fire and duration of fire also plays important role. Hence the materials used in home should be such that they do not get burn easily act as a fuel and do not cause the heavy smoke. Most of the countries have described fire resistance in terms of hours. i.e. 1 hour, 2 hours of fire resistance etc. As there are norms and regulation that should be keep in mind by Architects & Engineers to design the building /home. It is not possible to attain absolute safety from fire but by adopting certain measures i.e. by using some fire-resistant materials in building construction, it is definitely possible to provide reasonable degree of safety from fire. Hence, it is possible to prevent fire. These materials do not contribute to the growth of fire but may get damaged when the temperature is reached to the level where decomposition of fusion occurs, resulting in loss of strength. If such materials used in structure it may no longer maintain the integrity of structure. Examples of such materials are metal, stone, glass, concrete, clay products, gypsum products and asbestos products. Also Read: What is a Water Type of Fire Extinguisher? Combustible materials are those which, within the temperature range in case of fires, will combine exothermically with oxygen, i.e., during reaction lot of heat is evolved and they give rise to flame or glow and thus spread the fire. Such materials whether forming part of the structure or the contents of the building, not only burn themselves but also increase the intensity and growth of fire which simply means it acts as a fuel of fire. Examples of such materials are wood and all wooden products, manufactured products such as fibre board, straw board, etc. It can be said that non-combustible materials are safe upto certain level to use in building / house for the simple facts it cannot become the fuel of fire. So, here we have tried to briefly discuss some fire-resistant building materials used in construction and which should be used to minimize the damage due to fire. Stones are used in a hilly area where stones available easily. Depending upon their characteristics different types of stones are used at different places. Polished granites are used as table tops, cladding for wall and columns. Stones are also used in backyard garden for planters. Stones are also used in entrance hallway in home and also used to build compound wall. Granite, sandstone and limestone are used to build walls. Slate stones are used in roofs and floors. Granite, when subjected to excessive heat, crumbles to sand or cracks and turns to pieces with a series of explosions and disintegration. The use of limestones is not at all desirable as it gets crumbled and ruined (turns to quick lime) under the effects of fire. The compact sandstone has better resistance against fire than limestone as it can stand the exposure to moderate fire without serious cracks. It will all depend on the temperature at which such stones will give in. Also Read: 8 Tips to Design Your Fireplace in a Home! Bricks are the most common and favoured construction material throughout the world. Bricks are used for the construction of wall, lintel and arch, retaining wall, cavity wall and damp roof courses etc. Bricks are also used to give aesthetic appearance to the structure. First class bricks are practically fireproof as they can withstand the exposure of fire for a considerable length of time. Being poor conductors of heat, the bricks can withstand high temperatures up to 13000C without causing serious effects. Fire bricks are best for use in fire-resisting construction. Fire bricks have melting point about 28000C. The degree of fire-resistance of bricks depends upon factors like size of bricks, composition of brick clay, method of construction, etc. Though brick has its own structural limitations for use in buildings but brick masonry has been proved to be most suitable for safeguarding the structure against the fire-hazards. Steel although is incombustible fire-resistant material & also has a very low fire-resistance value. With increase in temperature, it gets softened and hence reduction in resistance to the effects of tension and compression. At about 6000C, its yield stress is reduced to only one-third of its value at normal temperatures. Steel melt at 14000C. When the members made of steel come in contact with water used for extinguishing the fire, they tend to contract, twist or distort and thus the stability of the entire structure is endangered. It has been observed in practice that unprotected steel beams sag and steel columns buckle, both resulting in collapse of building. It is, therefore, necessary in the fire-resisting characteristics of a structure, to protect all the structural steel members with some covering of fire insulation material. 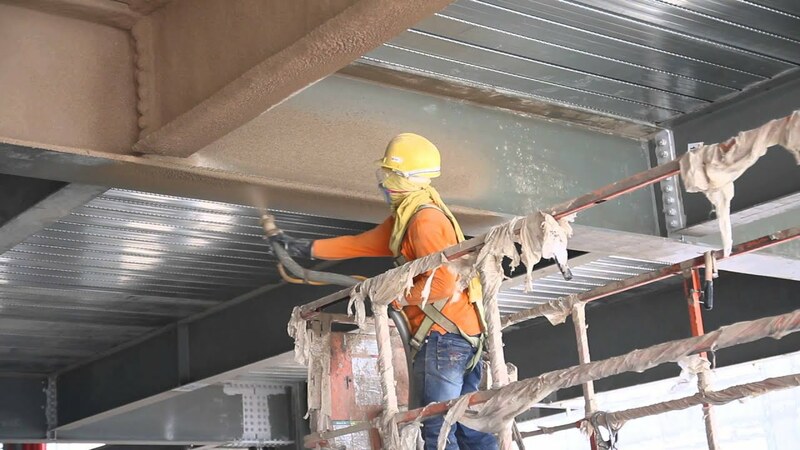 This can be achieved by covering the steel members completely with materials like bricks, burnt clay blocks, terra-cotta, concrete or breeze concrete, etc. 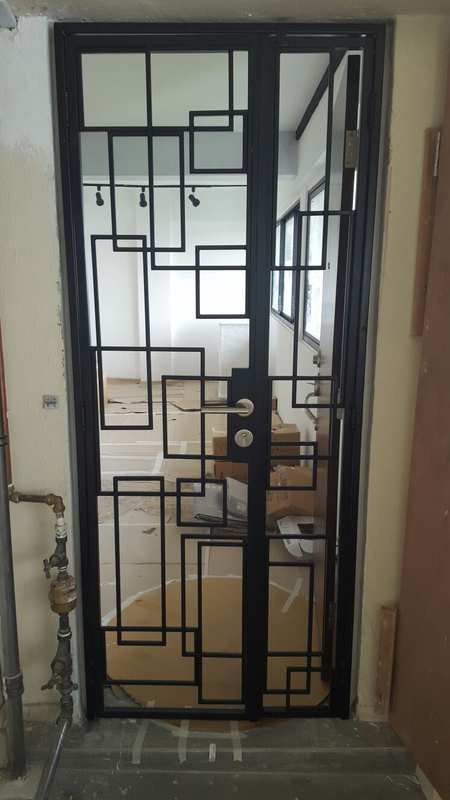 Wrong iron is used as a decorative purpose in outdoor stairs, railing, gates and fences. Cast-Iron is used for making sanitary fittings i.e. manholes, water pipes, sewer pipes. It is also used to make metal columns and column bases. Wrought-iron behaves almost in similar way as steel when subjected to fire except that it has lesser elasticity and cover strength in compression and tension as compared to steel. Cast-iron is rarely used for fire-resisting point of view in construction as on sudden cooling, it gets contracted and breaks into pieces or fragments. They melt at around 11000C to 15000C. For using cast iron in fire-resistive construction, it should also be protected by a suitable covering of bricks, concrete etc. Aluminium is used for window frames. It is also used for roofing, and curtain walling, as well as for cast door handles, catches for windows, staircases. In some advanced countries, the aluminium is being used for reinforcement purposes in multi-storied structures because of its light weight and anti-corrosion properties. Melting point of aluminium is about 6600C. However, it can give very poor performance as a fire-resistant material and its use (as alloy) should be restricted to those structures which have low fire risks or more making hangers. It is good conductor of heat and possesses enough tensile strength. Also Read: How Concrete is Made? Coarse aggregates, like foamed slag, blast furnace slag, crushed brick, crushed limestone, cinder etc. are best suited for concrete from viewpoint of fire resistance. Aggregates like flint, gravel, granite etc. possess poor fire-resisting characteristics. It has been observed in the event of average fire, the concrete surface gets disintegrated for a depth of about 25 mm because of the fact that the mortar in concrete gets dehydrated by the fire. Hence, in case of reinforced concrete fire resistive construction, the cover of sufficient thickness should be provided (cracks generally originate from the reinforcement). R.C.C. 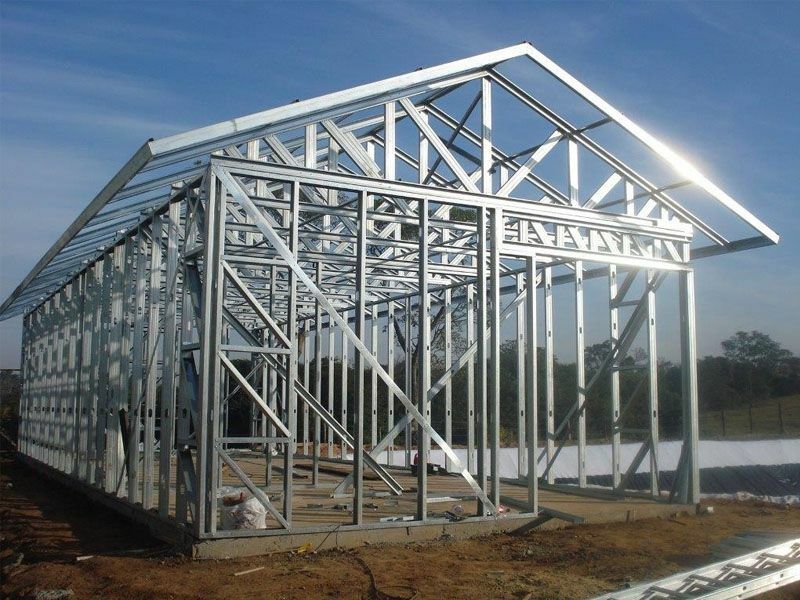 structures are considered superior to steel framed structures as less steel is used and that too well protected by the mass concrete. Because of its low thermal conductivity, this fire-resistant material undergoes very small volume changes during expansion or contraction and hence considered to be a good fire-resistant material as it is a brittle material. Glass melts at approximately around 14000C to 16000C. Sudden and extreme changes in temperature, however, result in fracture or cracks. When glass is reinforced with steel wire netting, e.g., in wired glass, its fire resistance is considerably increased, and its tendency to fracture with sudden changes in temperature, gets minimized. 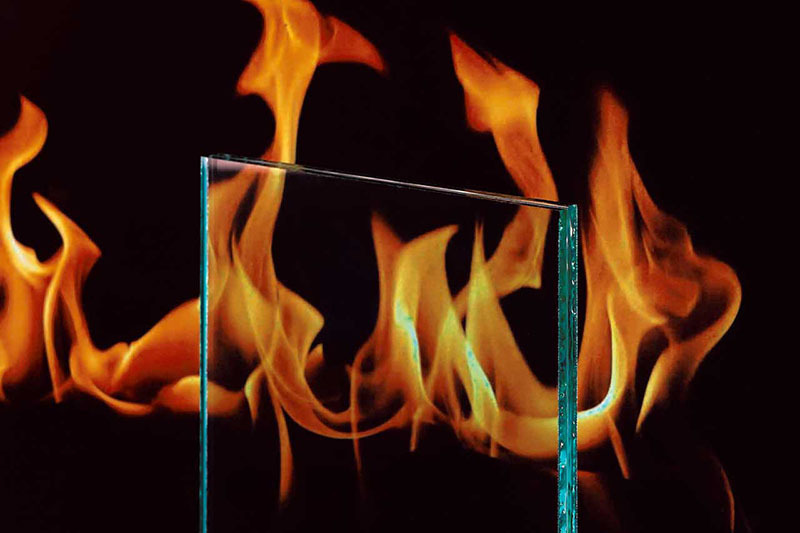 Reinforced glass has a higher melting point and hence commonly used for making fire-resisting doors, skylight, windows etc. in construction work. This fire-resistant material, which is formed by combining fibrous mineral with Portland cement, has a great fire-resistive value. Its melting point is about 8710C. Asbestos cement products are widely used for the construction of fire-resistive partitions, roofs, etc. Being poor conductor of heat and incombustible material, the structural members blended with asbestos cement offer great resistance to cracking, swelling, or disintegration when subjected to fire. It is an incombustible fire-resistant material and hence used for protecting the walls and ceilings of building from fire-risks. Cement plaster is better than lime plaster as the latter is likely to be calcined. The fire resistance of the plaster to fire hazards can be increased by using it in thicker layer or reinforcing the plaster with metal lathes. Gypsum plaster is also applied on steel columns and other steel members to increase their fire-resistive qualities. The use of fire-resistant materials like cement mortar with surkhi or pozzolana is preferred from the viewpoint of fire-resistance. Nowadays vermiculite plaster is also used as fire-resistant material. Vermiculite is used in building boards because of its low density and good insulation properties. Gypsum boards are also known as “dry-walls” and they are also chemically treated to increase the firefighting abilities of gypsum. Builders used multiple layers of gypsum coating on gypsum boards to make sure their fire resistance properties of the underlying physical structure get enhanced. Gypsum is another commonly used fire-resistant material used in construction world. Gypsum has melting point about 1000C – 1500C. Many structural materials are attached underneath with gypsum sheeting to prevent any fire hazards and to achieve good fire-resistant ratings. Like bricks, it is also the clay product which possesses better fire-resisting qualities than bricks. Being costlier, its use is restricted in the construction of fire-resisting floors only. Stucco is a plaster that has been used for centuries for both structural purposes and artistic. Modern stucco is made of Portland cement, sand and lime, and it serves as an excellent and durable fire-resistant material for buildings. It can cover any structural material, such as wood or brick. It generally consists of two or three coats over metal reinforcing mesh. A one-inch (2.54-centimeter) layer of stucco can easily lend a 1-hour fire rating to a wall. Roof eaves (overhangs) are fire hazardous, but they can be protected with an encasement of fire-resistant material. Stucco is often suggested as one of the best materials for boxing in hazardous eaves. Because of versality in finishing techniques, stucco can come in various textures and colours. After discussing all above building materials it can be said that proper Selection of fire-resistant material and the method of construction plays very important role in minimizing danger of fire. In a fire-resistant construction, the maximum use of non-combustible materials should be encouraged. Depending upon availability of fire-resistant material and budget you can choose appropriate materials for your house construction. In short it will depend on the melting point of the particular material. However, you have to choose the material judiciously comparing its behaviour with other loads like earthquake, cyclone, rain, wind and so on. We hope that this above discussion can guide you in selecting proper material for your house. Next PostNext What is Arch in Construction?